After merging with The Audience Agency’s tactical marketing services team at the start of 2018, we are now able to offer distribution coverage across the North of England. Our team of staff are on hand with local knowledge and expertise to help get your print into the hands of your audiences. Through developing and expanding The Audience Agency’s existing networks, we can offer a more extensive and streamlined product to you. 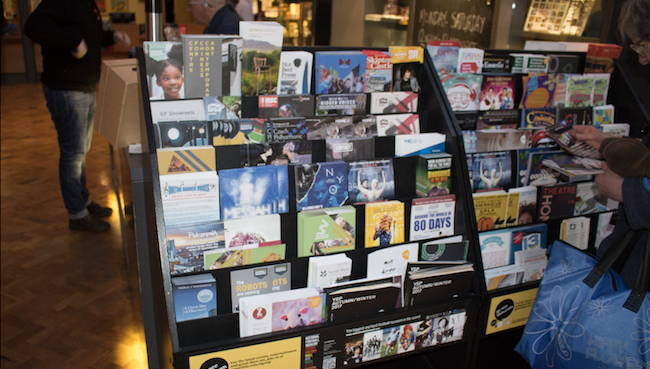 All of the print is displayed in our branded Culture Calling racks. Education, LGBT, Students, Arts & Crafts, Film & Cinema, Live Arts, Sport & Fitness, Corporate Culture, Traditional Man, Traditional Woman. Our grassroots runs are perfect for reaching audiences based on their geographic location. Combined with any postcode data you have, we’re able to identify key communities to reach for your next show or exhibition. From Chorlton to Chester, Blackburn to Buxton, Stockport to Sretford, we’ve got you covered. In addition to Manchester, we can now offer surrounding county-wide runs reaching a wide range of target audiences depending on your brief. The counties we now cover include: Greater Manchester, Lancashire, Cheshire, Merseyside, Yorkshire, Cumbria, Derbyshire, Staffordshire, Warwickshire.